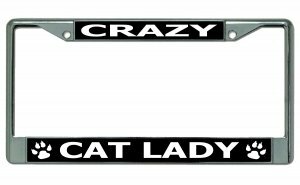 Fits 6" x 12" license plates. Comes with pre-drilled holes. Durable chrome-plated frame is decorated with two full color inserts. Comes with pre-drilled holes on top for mounting on your vehicle.